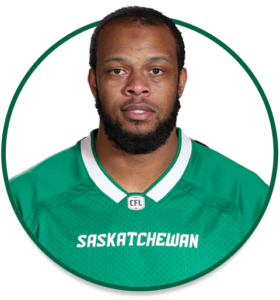 PRO: Signed with the Riders in October, 2018…signed with the Cleveland Browns in December, 2017…signed with the Indianapolis Colts in October, 2016…signed with the Carolina Panthers in September, 2016…signed with the Buffalo Bills in December, 2015…signed with the Dallas Cowboys in September, 2015…signed with the Chicago Bears in September, 2016…claimed by the Oakland Raiders in September, 2015…acquired by the Dallas Cowboys in August, 2014…selected by the Tennessee Titans in the 5th round (142nd overall) of the 2013 NFL Draft. Played 25 career regular-season NFL games between 2013-17. COLLEGE: Spent four seasons at LSU (2009-12)…played 52 career collegiate games…registered 96 defensive tackles, 20 tackles for loss and 10.5 quarterback sacks.